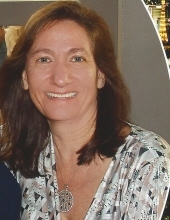 Lisa Ann Demarest, 51, of Ringoes, NJ, passed away peacefully on Saturday, February 2, 2019 at her home surrounded by her loving family. Born in Perth Amboy, NJ, she has been a resident of Ringoes for the last 21 years. Lisa was a graduate of Rutgers University New Brunswick and received her Bachelor of Science degree in Medical Technology. She started her career in diagnostic testing at Johnson & Johnson. Her work experiences went on to include various positions such as quality assurance manager, followed by program manager, and lastly project manager which eventually led to her owning her own business, Project Management Solutions, in which she worked as a project manager for 15 years, for several pharmaceutical and diagnostic companies including Johnson & Johnson, Roche, OraSure Technologies, and Janssen Pharmaceuticals. Lisa was an avid Pittsburg Steelers fan, played a lot of sports throughout her life, loved going camping, hosting parties, had a passion for sports cars, loved traveling to the Caribbean, Europe, Canada, Las Vegas, and Atlantic City. She was also an excellent cake decorator and loved to make them for all family occasions. Lisa’s life revolved around her family. She loved being a mom and wife. Her family was the light of her life. She was an incredible wife, mother, sister, aunt, cousin, and friend who will be missed tremendously. She is preceded in death by her grandparents and her brother, Mark. She is survived by her beloved parents Kathleen Grzankowski and Edward Demarest; stepparents Chris Grzankowski and Theresa Demarest; loving husband of 24 years, Pat Trecozzi; her beloved children Alyssa, Matthew, and Kimberly; her dear sister Kim and husband Ted DeNofio of Vineland, NJ; her mother-in-law Lina and father-in-law Onofrio Trecozzi of Middlesex, NJ; brother-in-law John and wife Linda Trecozzi of Green Brook, NJ; stepbrothers, John and wife Beth Manzi and family of Flemington, NJ, and Tom and wife Jodi Manzi of Ocean Grove, NJ; her stepsister, Steph and husband Mark Romano and family of Connecticut; her adored niece, Alexis; adored nephews, Teddy, Danny, Anthony, and Ryan; her cherished extended family Lucas Chin, Anna Helfrich, Rochelle Grazias, and Megan O'Rourke. Lisa also has many wonderful aunts, uncles, cousins, nieces, nephews, friends, co-workers and her beloved Cavalier King Charles Spaniel “King” who she loved dearly. Viewing will be held Friday February 8, 2019 from 1-3pm and 6-9pm at the Branchburg Funeral Home 910 US Highway 202 South, Branchburg, NJ, 08876. Funeral services will start with a prayer at the funeral home at 10:15am on Saturday February 9, 2019 followed by an 11:00am funeral liturgy at St. Elizabeth Ann Seton Church in Three Bridges, NJ. Entombment will follow at St. Bernard Cemetery Mausoleum in Bridgewater. Memorial contributions may be made in her memory to the American Cancer Society 7 Ridgedale Ave., Suite 103 Cedar Knolls, NJ 07927. In Lisa’s memory the family requests that you wear purple or black to honor her remembrance. To send flowers or a remembrance gift to the family of Lisa Ann Demarest, please visit our Tribute Store. "Email Address" would like to share the life celebration of Lisa Ann Demarest. Click on the "link" to go to share a favorite memory or leave a condolence message for the family.